in graphite below plate mark; lower left: OK; lower right: P.S. 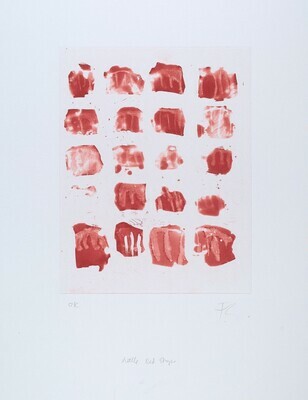 ; at lower center of sheet: Little Red Shapes; lower left verso: red used on drypoint / on large print #31. Kathan Brown, San Francisco: Gift to NGA, 2001.